Manafest is a barrier breaking singer, songwriter, rapper, author and skater. He effortlessly merges rock, rap and pop throughout his music, carefully assembling experiences and compelling inspirations that speak to a wide variety of fans across the globe. His unique style has garnered him notable achievements such as four JUNO nominations, multiple GMA Dove nominations and a slew of GMA Canada Covenant awards. His music has been featured in the NFL, video games, throughout television shows such as Knight Rider, One Tree Hill and MTV Unplugged, and most recently in the movie Hard Target 2. His intelligent and contagious music has sold over 300,000 albums worldwide and has brought him to perform over 1,000 shows across four continents. In 2017 fans can look forward to Manafest releasing his eighth studio album Stones independently (see Kickstater). On this album Manafest brought in long-time friend and Grammy Award-winning producer Adam Messinger, Grammy-Award winning producer Seth Mosley. “Stones will be a rock record,” said Manafest. “Throughout the album, I explore how things are thrown in our path. I may face obstacles and judgements but I’m not going to quit. A fighter never stops no matter what stones are thrown their way.” He also notes that it’s very easy to throw stones at other people and wants to encourage his fans to be more self aware. Manafest was opening for Scott Stapp and touring with Adelitas Way in early 2017. Known for his high-energy performances, Manafest has shared the stage with the likes of P.O.D., Scott Stapp, Flyleaf, Thousand Foot Krutch, and Skillet. The organic relationship Manafest has with his fans has fed to much of his success. He has cultivated this relationship through engagement, giving back and connecting with them on a deeper level through story submissions. His fans have participated in fully funded projects and completely support Manafest through his other ventures such as the release of his book Fighter. This international artist has truly lived up these very words. From a young age Manafest has gone through life altering events that have made him the person he is today, such as losing his father to suicide at the age of five years old and having to put aside a budding skateboarding career due to an accident. 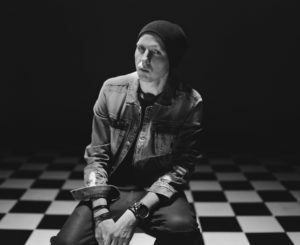 Music gave Manafest the outlet he needed to spread positivity to others and he’s on a mission to reach more people than ever delivering uplifting, envelope-pushing and inspirational music.